Filed to: Damn it!Filed to: Damn it! 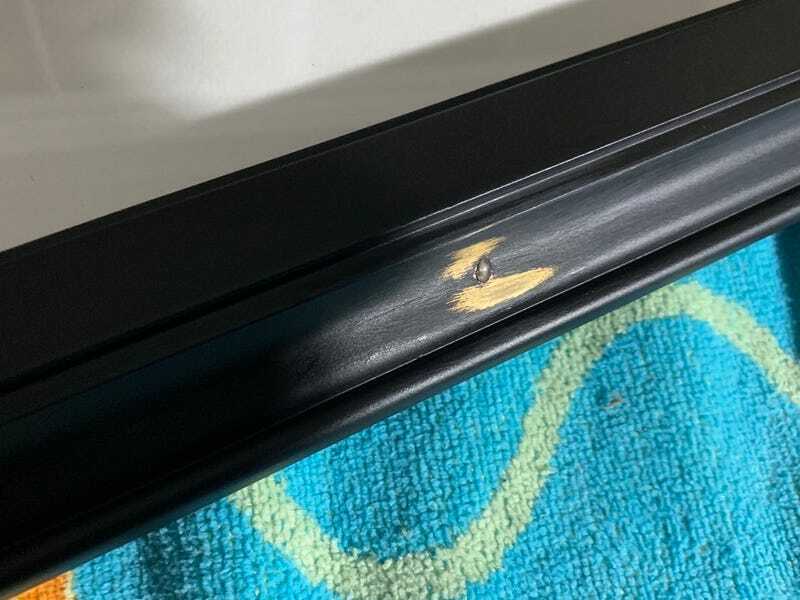 I was drilling a small guide hole for new handing hardware on a framed print that is getting dropped off at a gallery Monday. I didn’t realize how far over I was drilling. I drilled right through the front of the frame. I should have been a hair over, drilling behind the thick part, not the thin curved area. Right through the frame. On Sunday night. I have to do this before going to sleep so that if it requires more work and maybe a Home Depot run, I’ll have time to do it in the morning. And a kitten pooped all over me.